Get the new MLS All-Star 2017 Adidas kits for your dream team in Dream League Soccer 2017. This uniform brings back a well-remembered design, because with a dark blue base, the shirt is inspired by the design of the United States National Team in the 1994 World Cup, with a pattern of stars Which transversely crosses the t-shirt. 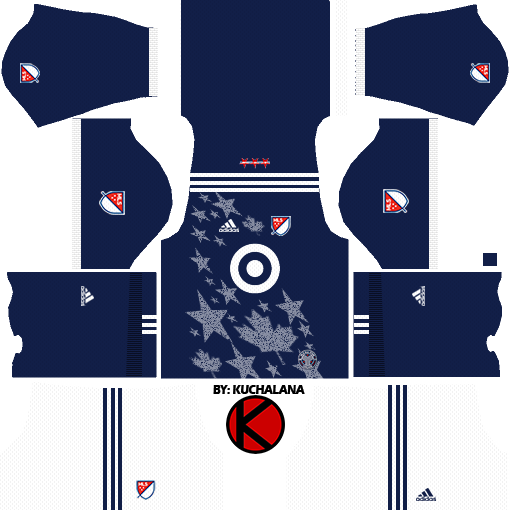 0 Komen untuk "Major League Soccer All-Star Kits 2017 - Dream League Soccer"